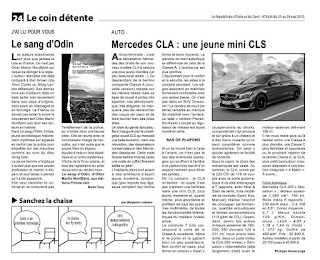 Le Sang d'Odin got a good review in the French newspaper Le Républicain d'Uzes. It says: "Scandinavian authors have enjoyed great success in France lately. Óttar Martin Norðfjörð is bound to join that group." 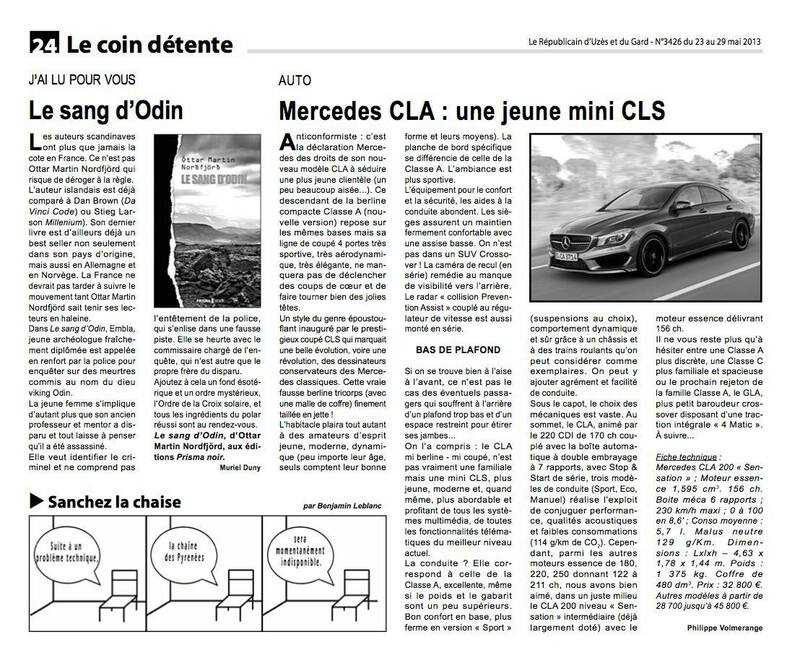 After saying that the book is already a bestseller in other countries, it goes on: "Now it's France turn to enjoy the suspense that Óttar Martin Norðfjörð knows how to create." And finally: "...all the ingredients of a successful Scandinavian thriller awaits you."